A stunning vibrant Post Impressionist watercolour by French listed artist Ernest Courtois de Bonnencontre. 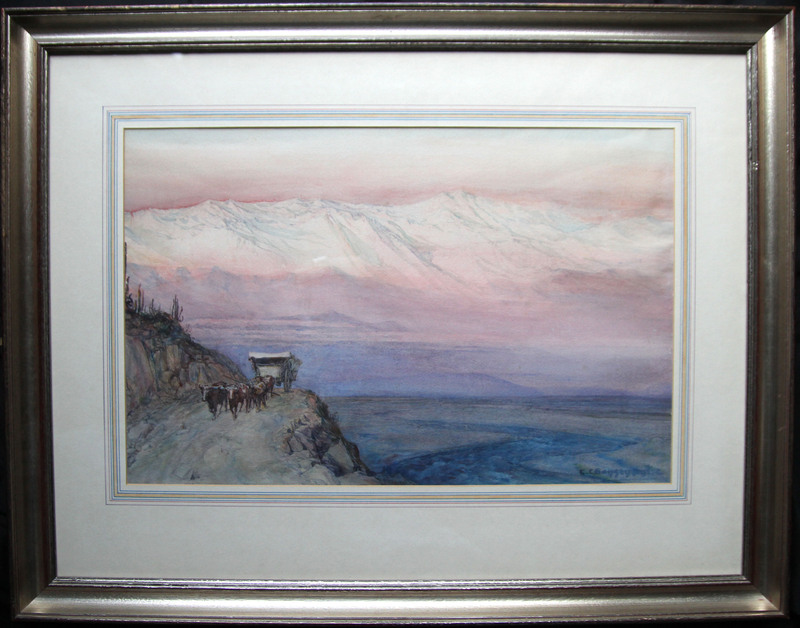 The watercolour is in excellent condition, painted circa 1900. 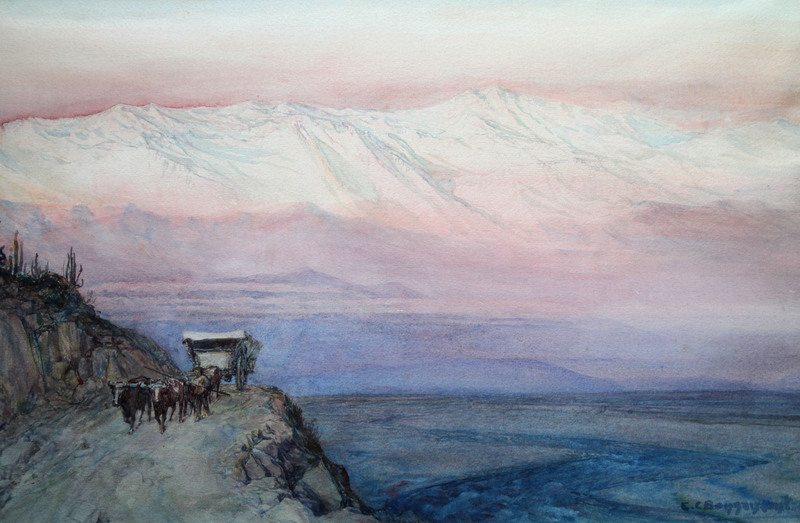 Sublime in its tranquillity and remarkable in its colouring and tonality, the painting depicts cattle pulling a wagon over a mountainous track with a super panoramic vista of Peru and the Andes reaching out into the distance. Ernest Coutois de Bonnencontre (1859-1955). French 19th/20th century artist of landscapes. Born in Bonnencontre France. He exhibited his landscapes at the Salons of the Society des Artistes Francais and the Societe Nationale des beaux Arts. He received a bronze medal at the Exposition Universale 1900. Like many of the Post Impressionists he was sensitive to the effects of seasonal and climatic variations on the landscapes of his native region.